Arnold Schwarzenegger: "Our leadership in Washington is a little bit backwards"
COP24: World leaders gathered in Katowice, Poland, to negotiate how to tackle climate change. What it looked like: Over two weeks, nations finalized how to implement the goal of limiting global warming to significantly less than two degrees. Climate change is here and affecting our health, with extreme heat in particular also having effects on productivity, food supply and disease transmission, a new global report finds. Among the world leaders, Arnold Schwarzenegger takes to the podium. While speaking at the opening ceremony, Austrian President Alexander Van der Bellen invites the former actor and Governor of California to join him to "give a bit of a pep talk." Schwarzenegger stresses the importance of local leaders in the US in fighting climate change. Everytime you talk about America, you’re right when you say that our leadership in Washington is a little bit backwards. But you’re wrong when you say that America dropped out of the Paris agreement. Because if you look a little bit beyond Washington you will see that it is the states and the cities, it's local governments, that can draw 70% of our emissions. And you will see all the extraordinary work that is going on a state and city level in America." The World Bank Group today announced that it would invest $200bn to support countries taking action against climate change from 2021-25. Jim Yong Kim, president of World Bank, said the world’s poorest and most vulnerable are at the greatest risk from climate change and he urged the wider global community to follow its lead. 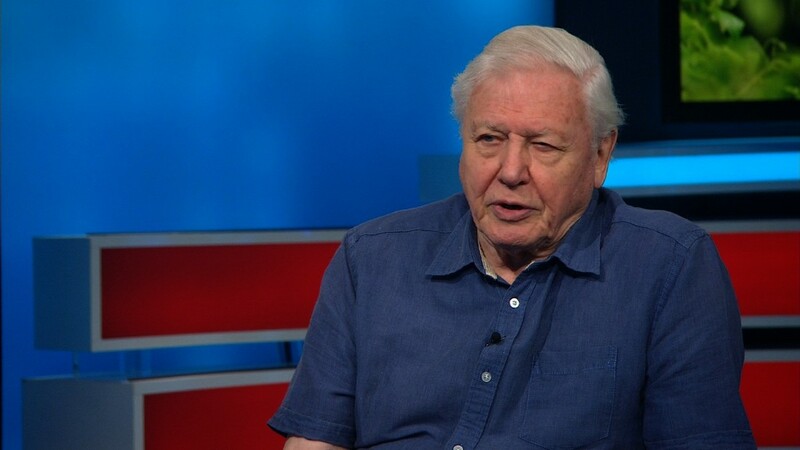 Renowned nature broadcaster Sir David Attenborough addresses world leaders. “Right now we’re facing a man-made disaster on a global scale, our greatest threat in thousands of years: climate change,” he says. In the weeks leading up to COP24, the UN asked members of the public to send their thoughts on climate change. Attenborough is there to represent the people. “I am only here to represent the voice of the people to deliver our collective thoughts, concerns, ideas and suggestions,” he says. In his opening speech Michal Kurtyka, COP 24 President and Secretary of State in the Ministry of Environment, notes Poland’s reliance on coal for energy. He calls for a “just transition” to help communities dependent on fossil fuels change their lifestyle. The past four years have the been the hottest on record, according to a report published last week by the World Meteorological Organization. Speaking at the opening of COP24 he highlights just how much needs to be done. “We will continue to tackle climate change, while promoting sustainable development and economic growth,” the document reads. How much has been achieved since the Paris Agreement? Climate author Mark Lynas paints a stark picture of the world's commitment to the Paris Agreement and efforts to tackle global warming. This will be a big issue on the agenda at COP 24. On Sunday, tens of thousands of people took to the streets of Brussels as part of the "Claim the Climate" march. This followed similar climate protests in London, Berlin and Cologne, all urging delegates meeting at COP24 to set more ambitious targets to limit carbon emissions. Climate protest in Brussels, December 2.